The online registration period for this seminar has expired. Please call the ITLA office at 317-634-8841. Get all six required CME credits and gain helpful tips to improve your mediation skills. 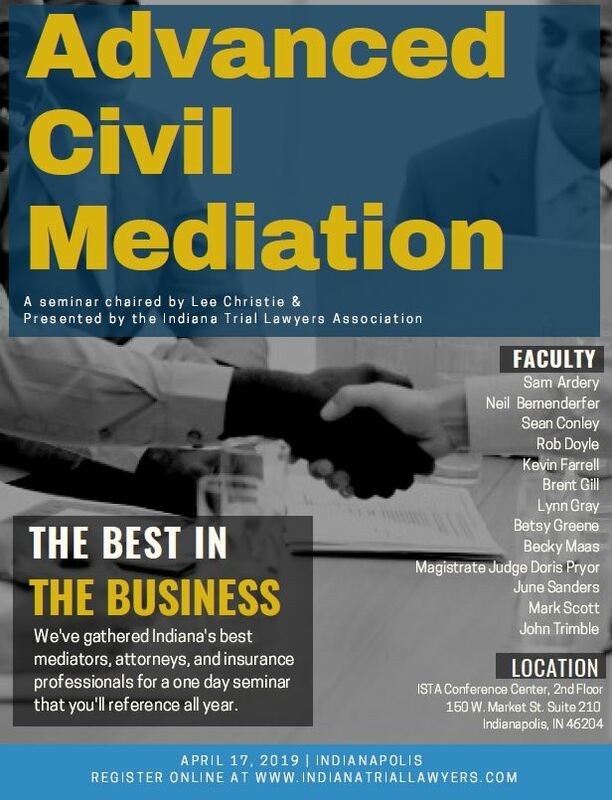 We've brought in Indiana's best mediators, lawyers, and insurance professionals to help you update and refine your settlement negotiations. Registration from 8:00 am to 8:30 am. Seminar will begin at 8:30 am and conclude at 4:45 pm. This course has been approved for 6.3 hours of CLE and CME, including .5 hours of Ethics.